Agriculture has historically been a key factor in the development of human society. During the last centuries, agriculture activities have been benefited from automation and technological advances. The Internet of Things, where Libelium’s technology plays a critical role, is also taking part of this by providing the farmers new analysis and forecast tools that helps them to improve their production. 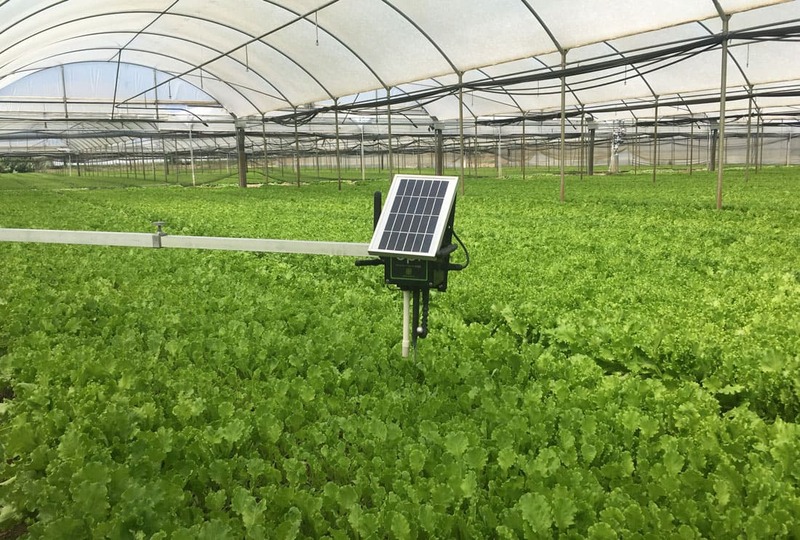 The adoption of new technologies such as Libelium’s Sensor Network in the agricultural sector plays a central role in order to achieve challenges like limited arable land, climate change, scarcity of water or availability of energy among others. 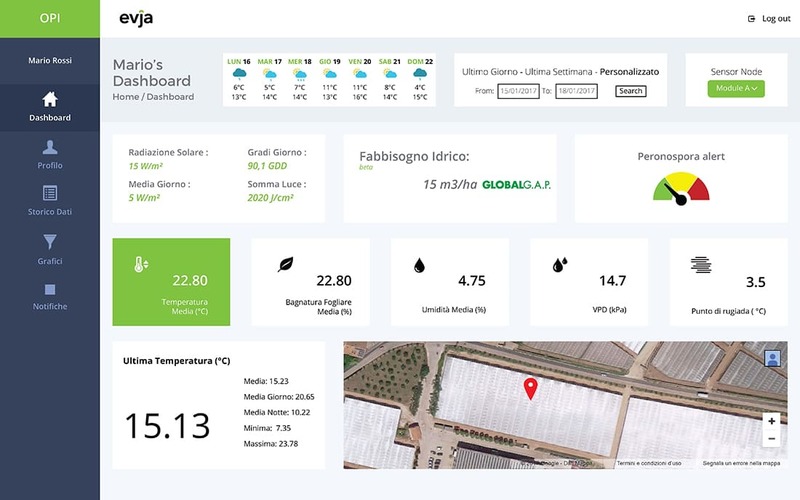 EVJA is an Italian start-up operating in the IoT and Smart Agriculture market that has developed a smart agriculture project in Salerno, South of Italy, to monitor “baby leaves” fourth-generation vegetables production with Libelium’s sensor platform. Ready-to-eat salad mixes have experienced a tremendous increase in popularity and sales over the last years. A study in HortScience reports that supermarket sales of the produce increased from $197 million in 1993 to $2.7 billion in 2008 in the United States. There are many baby leaf vegetables which are orignated in Asia and have become very popular in salad mix, dressing and garnishing in gourmet cuisines. The tricky thing about growing salad greens is that they are cool-weather crops. To keep under control all factors influencing the cultivations EVJA has created OPI™, a hardware and software bundle that helps farmers make the best decisions, thanks to the scalable proprietary IoT platform. It is equipped with proprietary predictive algorithms and connected to their customized wireless sensor networks. OPI™ allows for a better yield and a healthier production and it can be optimized to work with every cultivation. The team of EVJA is composed of a wide variety of specialists with high experience in several fields. Among them, agronomists and pathologists, with more than thirty years of experience in the field, carry out in-house research, and developing and calibration of predictive algorithm. EVJA develops in-house software and firmware: scalable infrastructure for multipurpose data management, processing and presentation, and internal firmware design and development for proprietary and third-party devices. It is widely known that cultivations are influenced by numerous external factors. Farmers need to physically go on the fields in order to continuously check and control their fields. Even so, they lack the tools to forecast adverse weather conditions and plant diseases. This result in an inefficient use of fertilizers and pesticides, along with inefficient irrigation schedules. Knowing when exactly to use pesticides and fertilizers would mean to save money, but also to lower the chemical residues. This is critical to obtain a healthier produce and comply to the distributors guidelines. 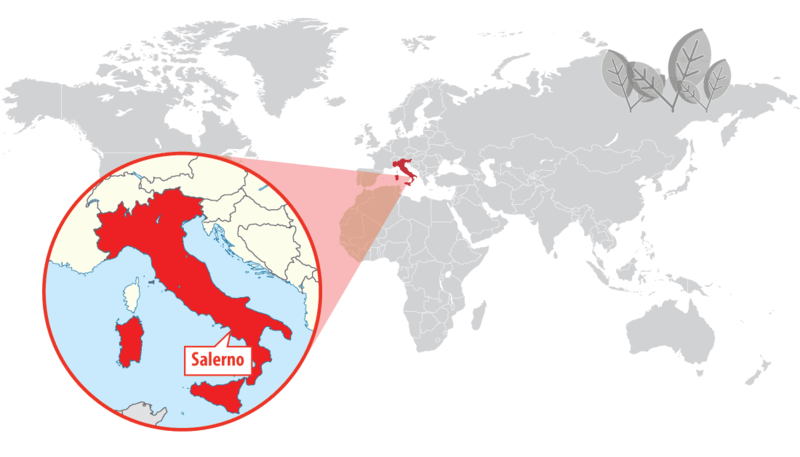 EVJA trusted Libelium’s technology to develop a smart system to monitor baby leaves production in Italy. The company has installed several Waspmote Plug & Sense! Sensor Platform in different locations at the site: Waspmote Plug & Sense! Smart Agriculture to monitor environmental parameters such as temperature, relative humidity and air pressure, luminosity (luxes accuracy) and leaf wetness. Remotely observe and obtain real-time data from the fields. Prevent plant diseases thanks to the algorithms and predictive models. Improve healthiness and quality of the production. Lower the use of fertilizers and chemicals in agricultural yields. Additionally, a big saving in time and costs is obtained thanks to Libelium Sensor Network. Experts say that “a 4th range company spends more than 4,000€ in pesticides per hectare per year. This product can lower this costs by 10% so the product basically pays for itself in one year”. There is a significant reduction in time-to-market, increasing the focus on agriculture market segmentation, stimulating the creation of a highly verticalized product that completely meets the needs of the customers. The farmer can also associate crop yields with the greenhouses’ climate during a period so that OPI can provide the crop yield forecast, reducing the usage of pesticides and water for irrigation. 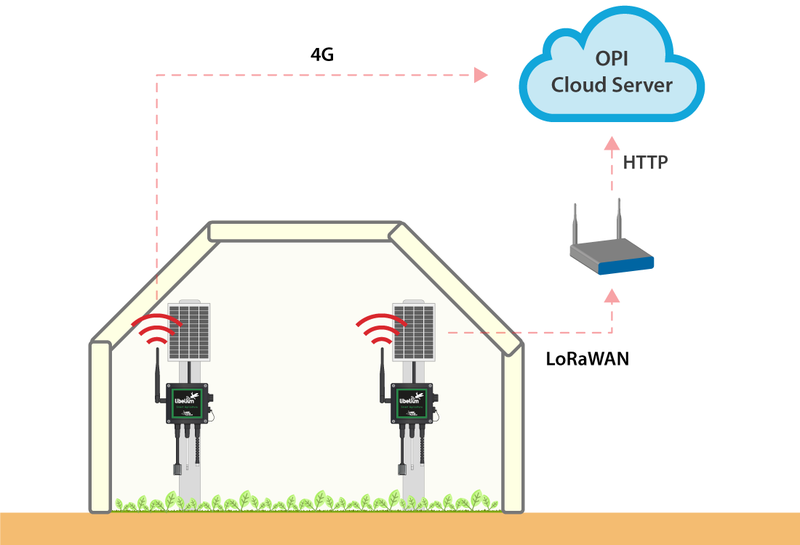 EVJA is using 4G and LoRaWAN communications to connect the sensors to the cloud. All information gathered by this sensors is collected, processed and displayed in a custom proprietary software platform that is hosted on Microsoft Azure Cloud. For 4G network version: HTTPs/REST protocols directly from devices to cloud. For LoRaWAN network version: LoRaWAN protocols from devices to gateway and HTTPs/REST protocols from gateway to cloud. 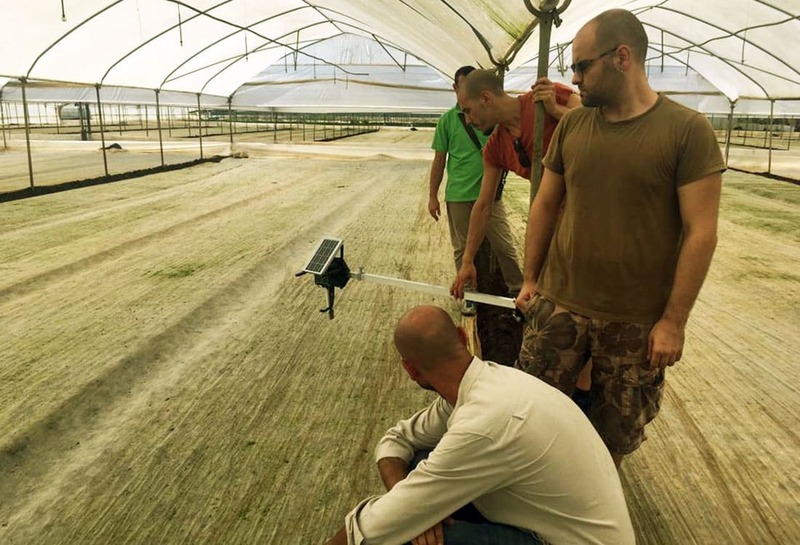 “Our users are farmers and they are used to deal with extreme conditions of agricultural environments; hence they appreciate the high-resistant case of Waspmote Plug & Sense!” pointed out Antonio Affinito – CTO at EVJA. “Working with Libelium’s devices means you have endless opportunities in every market segments that are changing with new tendency of the Internet of Things”, adds Antonio.